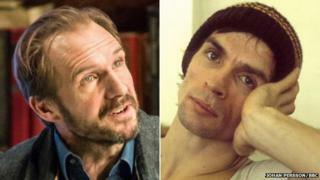 Actor and film-maker Ralph Fiennes is to step behind the camera to direct a film about Russian ballet dancer Rudolf Nureyev, according to Screen Daily. The film will be Fiennes third feature as a director, after 2011's Coriolanus and 2013's The Invisible Woman, in which he played Charles Dickens. Unlike those, though, the biographical drama - scripted by Sir David Hare - will not see Fiennes play the lead. Philomena's Gabrielle Tana will produce the film, set to shoot in late 2016. Financed in part by BBC Films, the film will be based on Julie Kavanagh's celebrated biography of the Soviet-born dancer who defected to the west in 1961. He went on to dance with the Royal Ballet and act in films - among them a biopic of silent star Rudolph Valentino - before dying of Aids in 1993 at the age of 54. Fiennes' previous collaborations with Sir David include 2008 film The Reader, which Hare scripted, and the TV films Page Eight, Turks & Caicos and Salting the Battlefield. He has also written a new version of Ibsen's play The Master Builder, in which Fiennes will star at the Old Vic in London next year. Fiennes recently appeared in Man and Superman at the National Theatre and will be seen later this year as M in the next James Bond film Spectre. He is best known for his Oscar-nominated roles in Schindler's List and The English Patient and for playing Voldemort in the Harry Potter series.